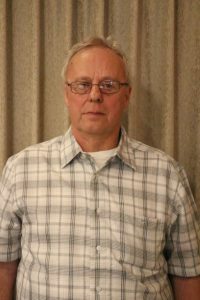 The 2016 Transport Driver of the Year, Greg Hoyt, has been with CN Brown Company 42 years. Over the course of his 42 years with CN Brown Company he’s trained many, many drivers; some of which are still with us today. During his time with us it’s our best guess that he’s traveled a little over 8 million miles. As far as gallons delivered the history only goes back to 2006 so from 2006 thru October 2014 he’s delivered 85 and ½ million gallons. Since our system switch in 2014, he has delivered another 10 and ½ million gallons. That’s 96 million gallons over the course of 10 years. Greg is always willing to help out whenever needed, even coming in on his days off. About 3 months ago, in preparation for retirement, he reduced his hours worked so now he is enjoying time spent with his family, especially his grandchildren; he also enjoys working around the house. You may still see him at your location every once in a while as he hasn’t quite grasped the full concept of retirement, but after 42 years on the road I’m sure it’s not easy. Please help me in congratulating Greg Hoyt, not only for being the 2016 C. N. Brown Transport Driver of the Year, but also on his retirement after 42 years of service with the company.